In Chicago, the winters are always different and an early spring is always on everyone's wish list.The rapidly melting snows along with the cool, overcast, and wet weather bring special conditions that need immediate attention prior to the start of spring. Regardless of the amount of cleanup you did last fall, there is always more to do to get your lawn and landscape ready for the growing season. Spring is a time of rebirth and reawakening from a long Chicago winter's nap. Getting out into the fresh air of spring can do much to revitalize you as well as your plants. Give J.D. Lawn Care and Landscaping Services a couple of hours of cleaning things up and you will be rewarded with healthier and more vigorous landscape and it will also do wonders for you. 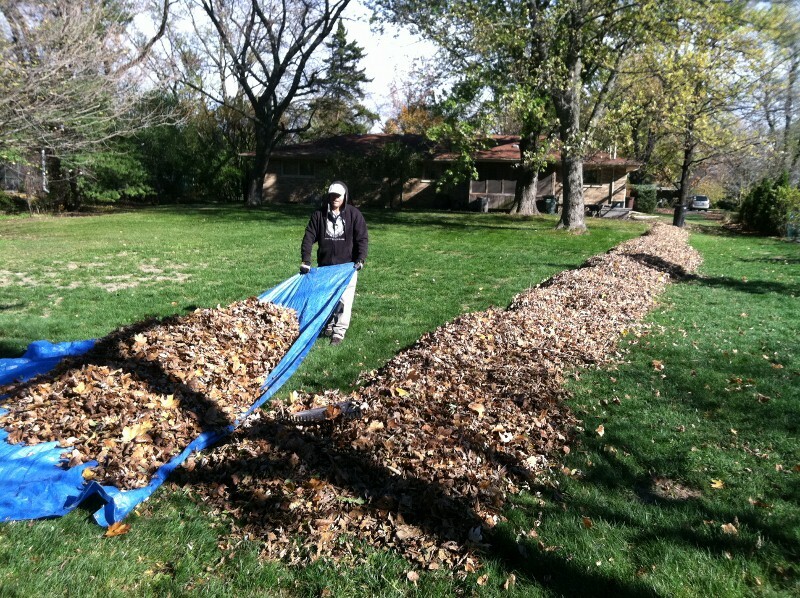 Our fall clean-up service is the process of removing all leaves, branches and other debris that have accumulated over the course of the summer season throughout your property and landscape beds and hauling it away from your property. 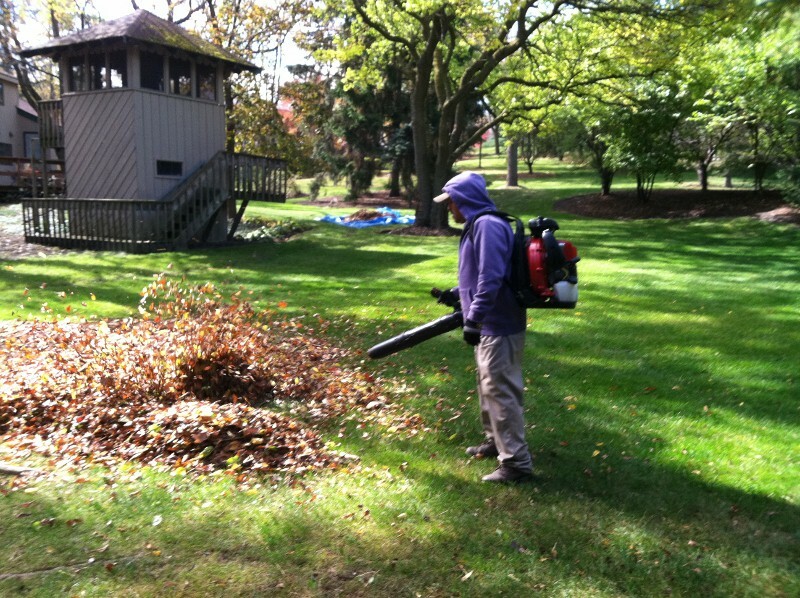 this service is a great way to prepare your lawn and property for the Chicago winter season. As we approach the end of the growing season and prepare for winter, we need to reflect on the severity of disease each year and remember that most diseases survive winter within infected plant debris. Fungal material such as mycelium, spores, or specialized reproductive structures may persist in the soil, in fallen leaves, or in dead branches remaining on the plant. Therefore, as a professional lawn care company, we can try to minimize the amount of fungal material that survives winter by removing all debris prior to the first snowfall. At J.D. Lawn Care Landscaping Tree and Snow Removal Service we are focused on providing high-quality service and customer satisfaction. We will do everything we can to meet your expectations. Our commercial snow management services include snow plowing, snow removal and deicing to provide your employees, clients and visitors with a clear and completely accessible property throughout the winter season.